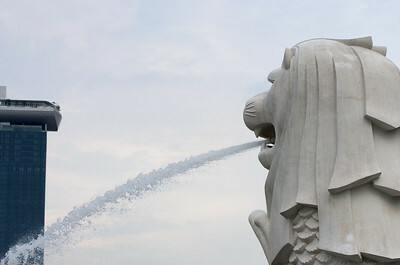 The Merlion (Malay: Singa-Laut) is a traditional creature in western heraldry that depicts a creature with a lion head and a body of a fish. 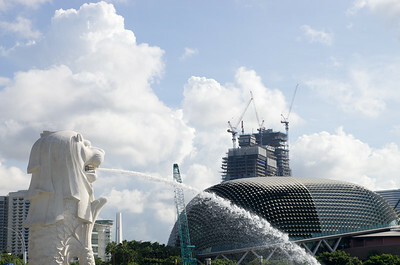 In Singapore, it has become a marketing icon used as a mascot and national personification of Singapore. 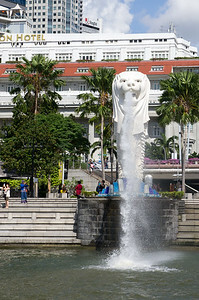 The park was first designed as an emblem for the Singapore Tourism Board in 1964. 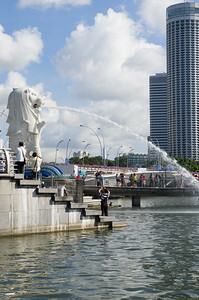 On 15 September 1972, the park was officially opened at an installation ceremony of the statue. 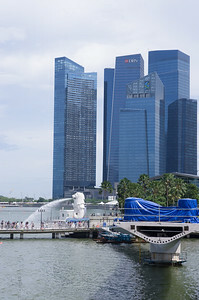 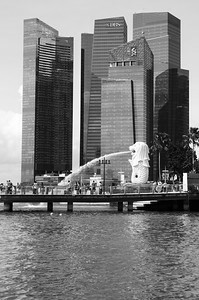 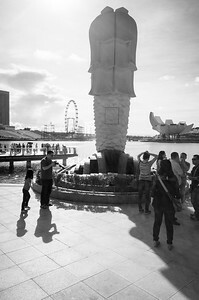 The statue of the Merlion used to stand at the mouth of the Singapore River. 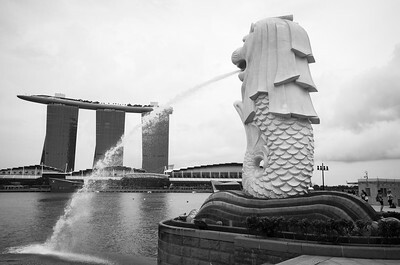 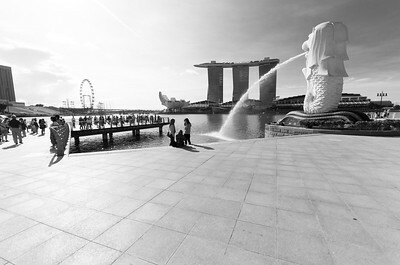 The statue was made from November 1971 to August 1972 by the late Singapore sculptor, Mr. Lim Nang Seng, it measures 8.6 metres high and weighs 70 tons. 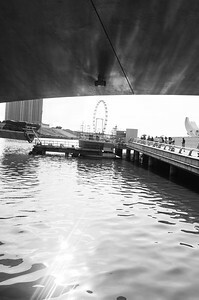 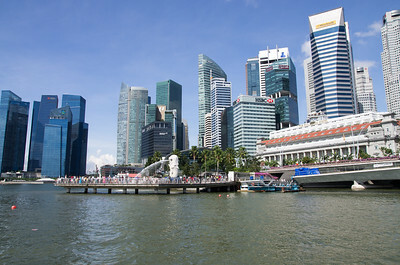 Upon the completion of Esplanade Bridge in 1997, the statue could no longer be viewed clearly from the Marina Bay Waterfront, so on 23 April 2002, the statue was relocated to a new pier specially built on the other side of Esplanade Bridge.